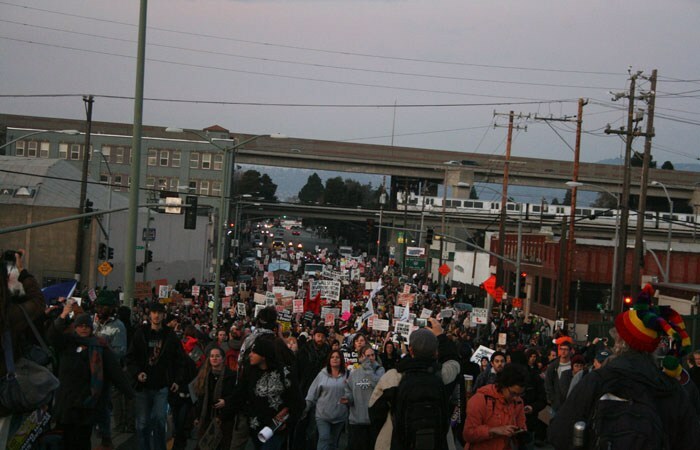 The U.S. Ninth Circuit Federal Court of Appeals heard oral arguments from both UC Berkeley and activist group By Any Means Necessary, or BAMN, in the latter’s ongoing lawsuit regarding the Occupy Cal protests in 2011. Members of activist group By Any Means Necessary and their attorney held a press conference Tuesday evening to address the progress of their lawsuit against UC Berkeley over the Occupy Cal protest. In the latest development in a lawsuit sparked by alleged police misconduct during the 2011 Occupy Cal demonstrations, the defense — representing officers and campus administrative officials — released briefs Wednesday further supporting a motion to resolve the case without going before a jury.